New giveaway, this time on Instagram (@piecedbrain): Farmer's Wife Sampler Quilt book plus almost 60 10" squares of Bonnie & Camille Hello Darling for Moda. There is a lot of fabric on that pile... and the book is to inspire your creativity. 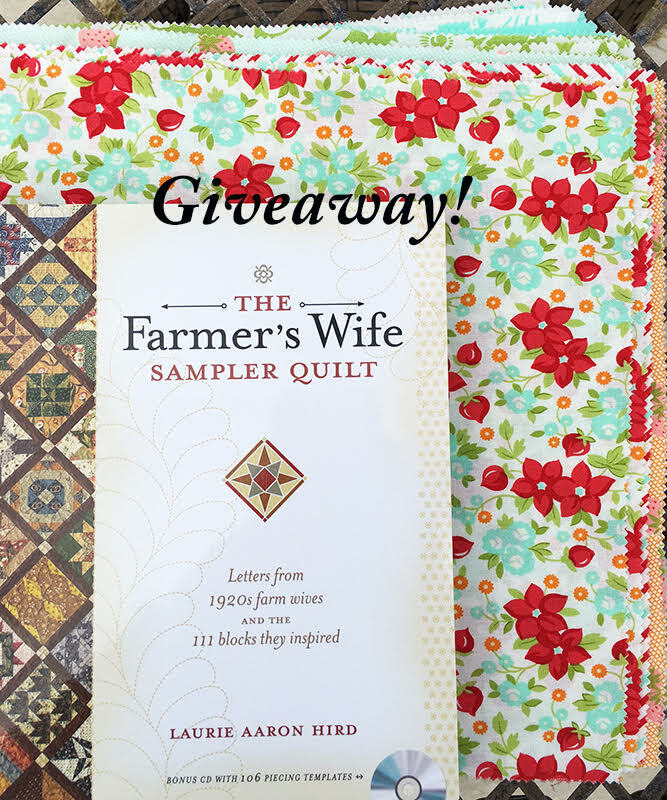 This giveaway is courtesy of my friend Deb (yep, she is so generous!). All you have to do on Instagram is: follow me and tag 3 friends. If you want an extra entry, repost the giveaway notice. Fingers crossed, Denise! I am ready for a new project!